I know I'm a little late to the party, but this little post is to wish the totally, wonderful stir_of_echoes a happy birthday. ahh there he is in all his glory! And let's not forget Winchesters come in pairs (stop sniggering at the back), so hello there Sammy! Hang on it's just gotten a little warm in here, and he's even brought his own chains!!!! 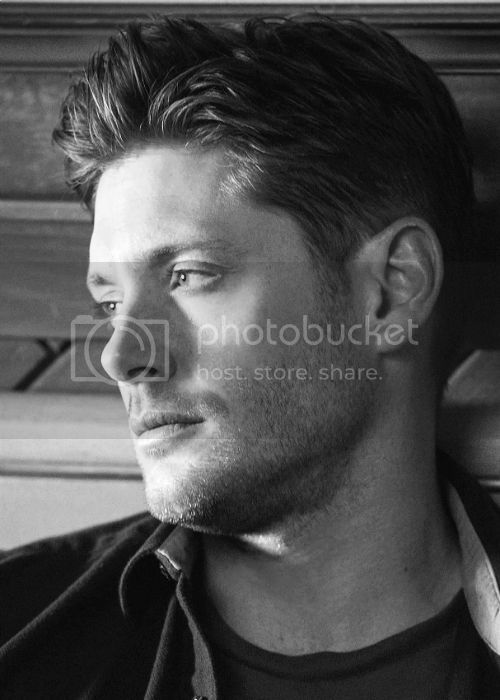 Of course not to be outdone, I feel it's only fair to offer a suitably wrapped Dean! There you go, imagine the fun you'd have unwrapping him...or leaving him tied to the chair! Whatever takes you're fancy! 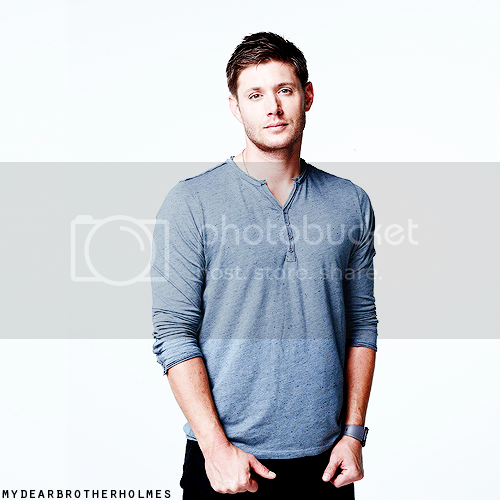 Then again how about Dean in one layer! Damn doesn't he look kind of innocent in this. Or if that doesn't appeal, how about a suited and booted Dean? Or how about a pair of hotties in suits? Oh yeah those damn frackles! So I hope you've had a wonderful birthday, filled with love and happiness! Wheeeee! My precious, hot as all hell, boys!!! Glad you enjoyed the post, and I was so happy to hear you had a great birthday. Sam in chains and Dean kneeling, what a perfect birthday gift for Stir and a wonderful unbirthday for all of us! Well I'm all for sharing the pretties!